When customers visit a dealership, it’s one of the few times when insurance may actually be at the top of their mind. After choosing their vehicle and settling on a price, obtaining insurance for their new ride is one of the last, but most important steps in the process before they hit the road. The concluding step of insurance is often a missed opportunity for the customer to save money. It’s also a lost window of opportunity for the dealer who could capitalize on selling them an insurance policy that would continue to generate residual and compounding revenue for the dealership long after the sale. For that to happen though, the dealer would need to incorporate an in-dealership insurance agency with the right people and the right process. During a typical vehicle sale, the customer has to stop the process and call his or her current agency and update or verify their policy, but an in-dealership insurance agency would streamline that segment, offering customers — including those who come in after regular business hours — a convenient insurance option. “Your dealership can be your biggest customer,” said Vernon Scott, dealer partner at Don Herring Automotive Group of Dallas and the new Atlas Chrysler Dodge Jeep Ram. Scott is a Texas dealer who started his journey over 30 years ago. His son, Nathan, has also carved out his own path in the automotive sector, both with a broad range of expertise from the OEMs, all the way through the ranks of automotive retail sales. “Dealerships spend a lot of money on healthcare, garage keeper, retirement, life and other insurance products. With an in-house insurance agency, you can retain a piece of all of these,” Scott said. In-dealership agencies can be complicated, so understanding the different models could make the difference between owning a revenue-hungry money pit or owning a new revenue-generating department that may someday be worth more than the dealership itself. So, what then should a dealer know before leaping into this? The in-dealership insurance agency (IDIA) is the second phase of another, now very well-known industry practice: dealer-owned service and warranty companies. Touting the use of offshore accounts while profiting off products like back-end insurance, reinsurance, roadside and GAP, this prime example of dealers learning to reinvent themselves to survive and thrive started well over three decades ago. The virtual agency — non-dealer owned: Dealers can save time and money and get a quicker ROI by signing up with a company that offers a virtual agency. The virtual agency, with little to no overhead, offers quick access to an existing program, the software and training to pull it off and a turnkey install of a new revenue center in the dealership, but raises some questions as well. While it varies from state to state, in most states, you cannot pay commission to someone who is not properly licensed. You can, however, pay a finder’s fee but it cannot resemble a commission split. Many agencies will set up a grid that gives commission ranges and set an appropriate fee. Any agency that is calling on dealerships across state lines to sell from their pool of customers will likely find it increasingly difficult to land new carriers as these types of activities can be construed by the carriers as potentially creating added risks and carriers do not like risk. The virtual agency — dealer owned: For the dealer who is licensed and still has no brick and mortar burden, the cost of the agency is negligible. There are software and staffing expenses, but the dealership now owns the book of business and the recurring commissions from renewals. Brick and mortar dealership agency — non-dealer owned: Allowing another agency to set up inside a dealership can be compared to letting someone else’s mechanics in a service department service your customers’ cars and then charge the customer for the services, and leave you a 2 percent tip on the way out the door. Brick and mortar dealership agency — dealer owned: If it’s in your dealership, own it! If you don’t own it, you don’t control it. If you don’t control it, you can’t manage it. If you can’t manage it, it won’t survive in your dealership. In many cases, the IDIA book of business will be worth more than the dealership itself in just a short period of time. Whether dealer owned or non-dealer owned, the captive model, with its many limitations, is not usually sustainable in a dealership environment. There are captive insurance companies that have in-dealership agencies that do not service the “non-standard” industry. Another way of saying “non-standard” is “less than perfect credit,” which is defined by such markers as beacon scores on credit reports. It may not be fair, but it’s a very real issue. Most captive carriers will not issue insurance policies to customers if they don’t fit the perfect profile the captives have established as their standard. The independent model gives dealers a tactical advantage over the captive model. Independent agents get to choose from as many carriers as the agency has access to when quoting insurance premiums to customers, and captive insurance carriers are captive to their own insurance only. “We now have access to multiple insurers and we have competitive policies for every customer regardless of their credit score,” Scott said. “The in-dealership independent agency model is an all-around winner for me. We are able to handle all of the dealership’s insurance needs in-house and get paid to do so. “With the addition of an in-dealership agency, we are now a part of every phase of the customer’s lifetime automotive ownership experience. It helps to create a long-term bond between the customer and the dealership,” he continued. 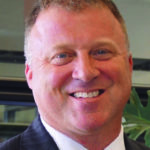 Scott recommends dealers look into an in-dealership agency as a new profit center. Depending on the market area and conditions, it is possible for the in-dealership agency to build up a residual value that is equal to or greater than the value of a dealer’s franchised automotive dealership. 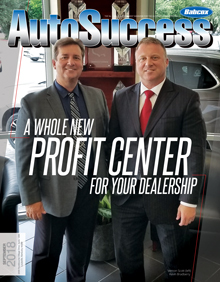 “With margins being compressed in the front and the back, this is a whole new profit center for the dealership,” Scott concluded. Here are some questions dealers should get answers to before deciding which model and which company to go with when considering either installing or replacing an IDIA. Am I dealing with a captive or an independent model agency? When they issue an agency to me, am I the owner of the agency and under what terms? Will I (or someone I assign) own the book of business? Is this a virtual or an in-dealership department with licensed people on my payroll? Do I have access to both standard and non-standard carriers? MGA with no real authority to protect my agency, my book of business or my standing with the carriers? When I sign a contract, who is it with? How many different companies am I doing business with here, and who holds what liabilities? What percentage of commissions are they paying out to me as an insurance agency and what is the total commission split? If the company I sign up with gets additional commissions and annual renewal (retention) bonuses from the carriers, do I share in those bonuses, and what is the percentage split? Will someone come to my dealership and work with my team to ensure the perfect people, perfect process and perfect productivity is fully operational and maintained during the life of my insurance agency? For a free copy of “Dealership Agency Report” send an email to [email protected] with “agency” in the subject line.